Pan Haidong born 1974 in Dazhou, Sichuan province of the People’s Republic of China. He is the CEO of Chinese online encyclopedia Hudong, the largest online encyclopedia in China as of 2009. As the world’s largest Chinese encyclopedia website, Hudong.com was founded in 2005 and is known as China’s Wikipedia. It has evolved into an encyclopedia site containing 5.4 million articles, 5.53 billion words and 5.82 million pictures contributed by over 3.6 million users as of July 2011. Pan Haidong, CEO of Hudong.com said previously that Hudong.com aims to provide people with a new platform for access to knowledge through the Internet. With the platform, the “Interactive Wiki Community” gets a lot of people who are willing to share their wisdom involved to make it grow. These persons join forces to create an online encyclopedia for the popularization and passing-down of knowledge in an interactive manner. 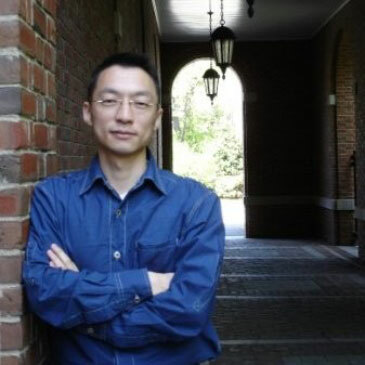 Pan Haidong expects to use the Wiki technology to build a “fenceless university” to popularize the interdisciplinary Chinese knowledge and culture across the globe, enhancing the influence of Chinese culture. In April 2011, Hudong.com officially launched Baike.com, a strategic platform for enterprise commercialization, to explore the integration of a knowledge platform with a commercial platform. Pan Haidong noted that Baike.com represents another significant step in Hudong.com’s enterprise development strategy and is a further extension to Hudong.com’s “Knowledge Media”, and that it will lay a solid foundation for Hudong.com’s overseas listing in the future.